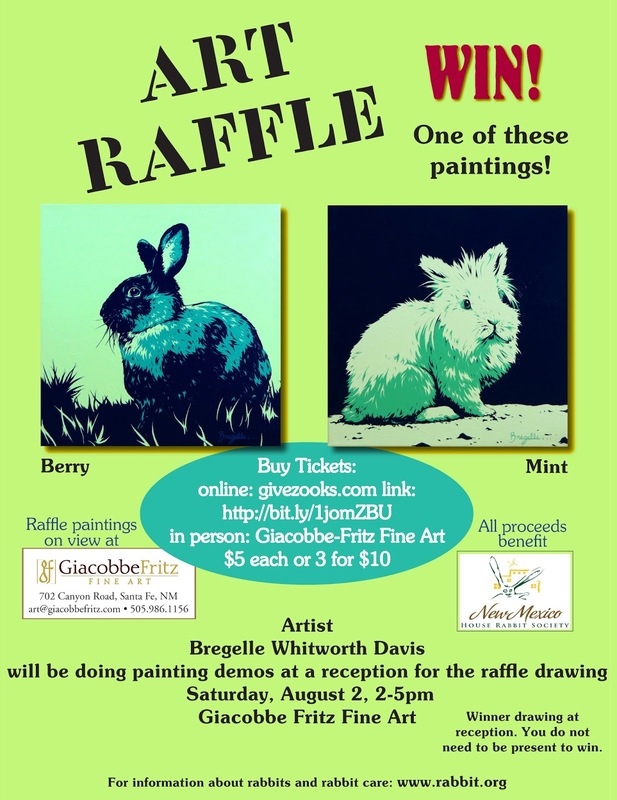 House Rabbit Society: Charity Event"
Bregelle has created two new painting just for this event. "Berry" & "Mint" are portraits of her own house rabbits. They are 14" x 14" acrylic on canvas and valued at $750 each. Tickets are available online at nmhrs.givezookz.com/ or at Giacobbe-Fritz Fine Art in Santa Fe. Bregelle will be the artist in residence at the Gallery, Aug. 1-2, 2014.